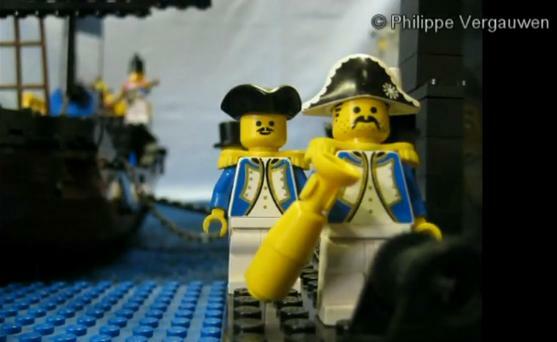 Philippe Vergauwen is the name of one such fan, and he’s worked 1.5 years on the Lego-version of “Pirates of the Caribbean: The Curse of the Black Pearl” (the first half of the movie, that is). 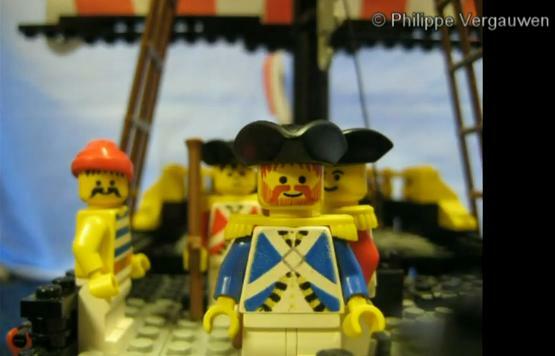 And while he skipped some key scenes, he did include all our favourite navy guys, so you can now all enjoy the Lego-version of Jack Davenport as James Norrington. The Admiralty would probably not have approved of Mr. Norrington’s stubbles and moustache; see, that’s where Lt. Gillette could have been helpful, but he looks rather scruffy as well. And for unknown reasons, he’s joined the Royal Marines. On his way to the Dauntless, Mr. Gillette has a mid-scene uniform change. Also, he grew a beard. Amazing! Commodore Norrington and Lt. Groves watch the goings-on through the spyglass (which is… pretty huge…), and we note that Mr. Groves seems to be the only one in possession of a razor blade. 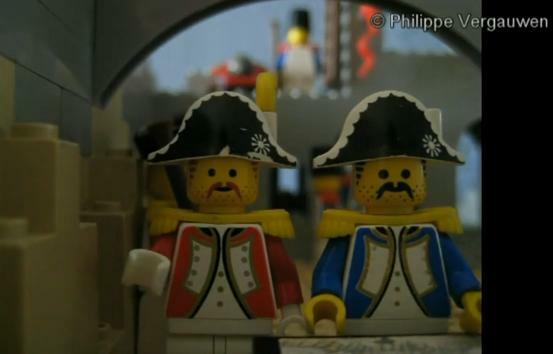 This fan movie is great fun, compliments to Philippe and thanks for sharing! Jack Davenport to attend Comic-Con in San Diego! This will make at least partially up for the lamentable lack of promo pictures of Jack Davenport. Now if only this damned big pond wasn’t in the way… but those of you who go to this year’s Comic-Con have the chance to catch Jack Davenport on the Flash Forward panel! Jack Davenport as Lloyd Simcoe in ABC's "Flash Forward"
I have neither been abducted by aliens nor has my dog mark been confiscated. But I’m currently very busy with different other things, and as the pilot for “Flash Forward” will air on ABC on 24 September, 8pm ET (which is in the far, far future), updates for “Good Boy, Sparky!” have been cut down to essentials for the moment. But no worries, I’ll be back soon, and I’ll bring screencaps! Commodore James “Sparky” Norrington’s waistcoat sold for £ 420. Just thought you’d like to know. Do you want to buy James Norrington’s waistcoat? Then today’s the day. Bonhams auctions off some iconic movie and TV costumes. Doctor Who, Blackadder, James Bond, Elizabeth I., Robin Hood, The Bounty, Dracula – costumer’s paradise! Buy Braveheart costumes and burn them! My personal highlight, it won’t surprise anybody to hear, is the waistcoat of Commodore James Norrington (RN, retired), though. As I’m broke only 5’2″ tall and could therefore only wear this piece as a nightshirt, I suggest some of you guys bid on it. SPARKY’S WAISTCOAT – IT COULD BE YOURS FOR £ 300 – 450! The auction starts on 16 June, 2009, at 11am! It looks like the 1748 pattern to me (or the 1774 one with too much lametta). Norrington wore white breeches, though, which indicates the latter. Historical blunder or not – Jack Davenport looked awesome in that uniform.